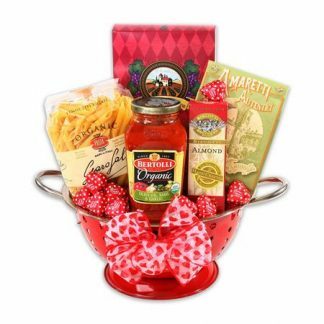 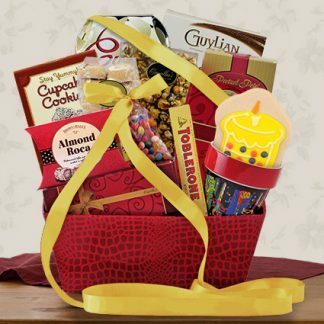 An inspirational gift that will make any birthday special! 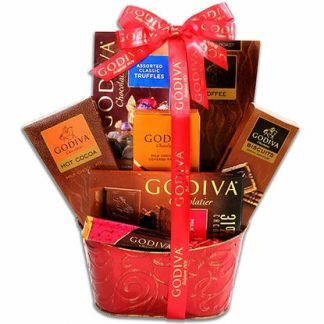 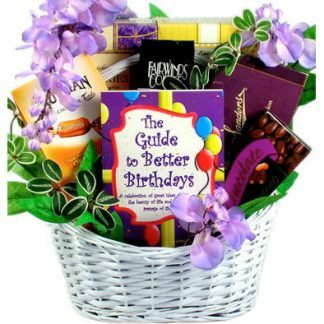 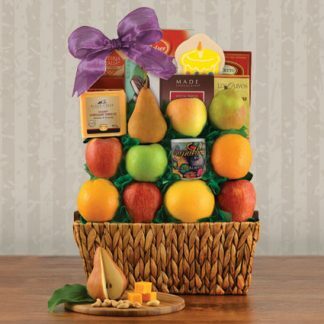 This beautiful gift basket features a book titled “The Guide to Better Birthdays” filled with inspirational quotes, poems and ideas, a box of Belgian Chocolate Twists with Dark Chocolate Orange Cream, Swiss Chocolate Almond Coffee, Milk Chocolate Almonds, Coconut Chocolate Delights, Snickerdoodle Cookies, Bananas Foster Cookies, Raspberry Thimble Cookies and Almond Thimble Cookies! 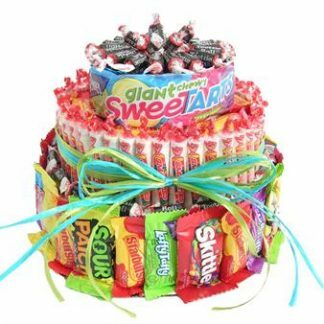 What a sweet way to surprise them on their birthday!